Students are welcome on the playground after 8:37 AM. Adult supervision is provided at that time. Families are asked not send their children any early as their safety is at risk. 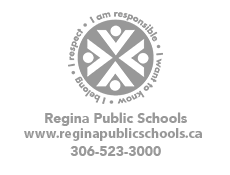 IF YOUR CHILD IS GOING TO BE ABSENT, PLEASE CALL THE SCHOOL BEFORE 9:00 AM AT 306-791-8526. We need to account for every registered child each and every day for safety reasons. The first bell rings at 8:53 and all students line up to come into the school in a safe, orderly fashion. Staff greet them at the doors. Please be sure your child is prompt as late arrivals make for a difficult start for him/her and their classmates that are already in action. Dismissal is at 3:37 PM Students are asked to head home at that time as supervision is not provided. Bus students are supervised until the bus leaves at 4:00 PM.